Since the middle of December, something extraordinary has been happening in Sudan. Fed up with crippling inflation, angry about years of economic mismanagement, and unconvinced that needed reforms are likely to come from the architects of the current crisis, the people of Sudan have been demanding change. It began with people rejecting a rise in bread prices, but for many, it has become a rejection of President Omar al-Bashir and his regime. For decades, Bashir and the ruling National Congress Party (NCP) had been able to blame hardships on the West and the international sanctions imposed in response to the government’s gross abuses of its own people. But when the United States lifted its sanctions on Sudan in October 2017, a convenient scapegoat disappeared. Over the past year, the overall state of Sudan’s economy—its $50 billion-plus debt burden, massive spending on security and the machinery of repression, pervasive corruption, and lack of competitiveness—has made it abundantly clear that the relief the Sudanese people seek requires far more than the lifting of sanctions. Sudan needs transformational reforms, and its citizens are demanding nothing less. The bravery of the Sudanese protesters is astonishing. No one has any doubts about the Bashir regime’s capacity for violent repression; indeed, scores of protestors have been killed over the past month. Equally interesting and instructive is the protesters’ savvy. They know lies when they hear them, and disregard misleading state media reports aimed at discrediting calls for change. They are finding ways to organize and express solidarity even when the state shuts down social media. 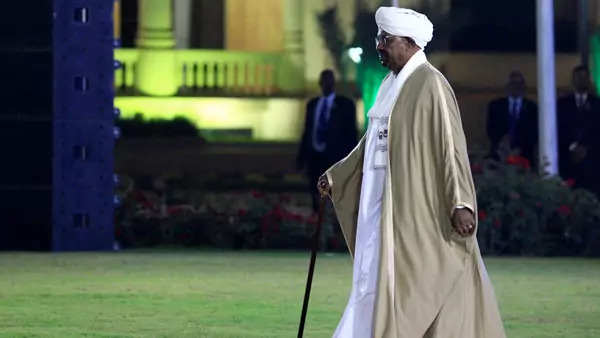 After nearly thirty years of Bashir’s brutal autocracy, the Sudanese people have developed certain immunities to some of its standard lines of attack. But years of repression have also bred cynicism and distrust that can sour the promise of a different future. Thoughtful Sudanese citizens are concerned about the breakdown in national identity and the absence of a positive and unifying vision for the country that speaks to shared values and aspirations. The change that the Sudanese people seek cannot simply be a rejection of what exists. What is needed is an inclusive vision of a new Sudan, and of its place in the region and in the world. Whether or not Sudanese can find the space to develop those ideas, to give voice to the aspirations of its diverse population, and to cultivate the leaders required to bring them to life, is well worth watching in the months ahead.